Amazon, Cotopaxi, and Ironman Barcelona, this week in photos. 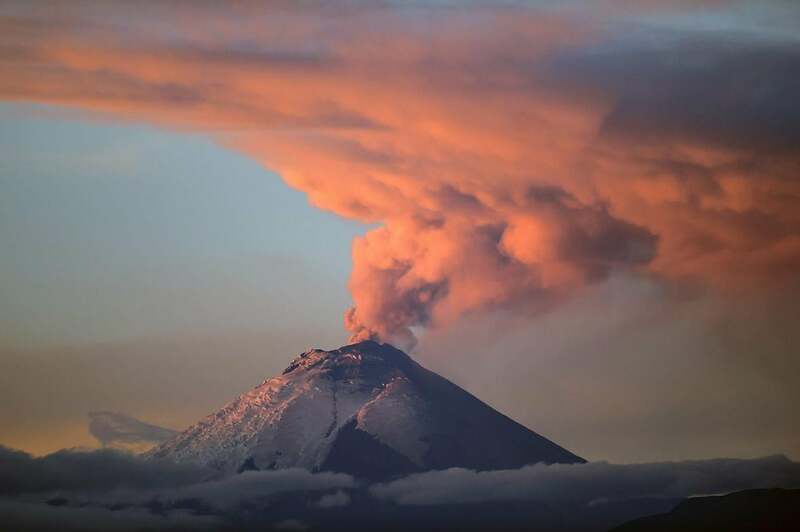 Picture taken from Quito, Ecuador, of the Cotopaxi volcano spewing ash on Oct. 8, 2015. The volcanic activity, which began Aug. 14 after 138 years of silence, continued with “steam emissions and a moderate load of ash,” the country’s security ministry said. 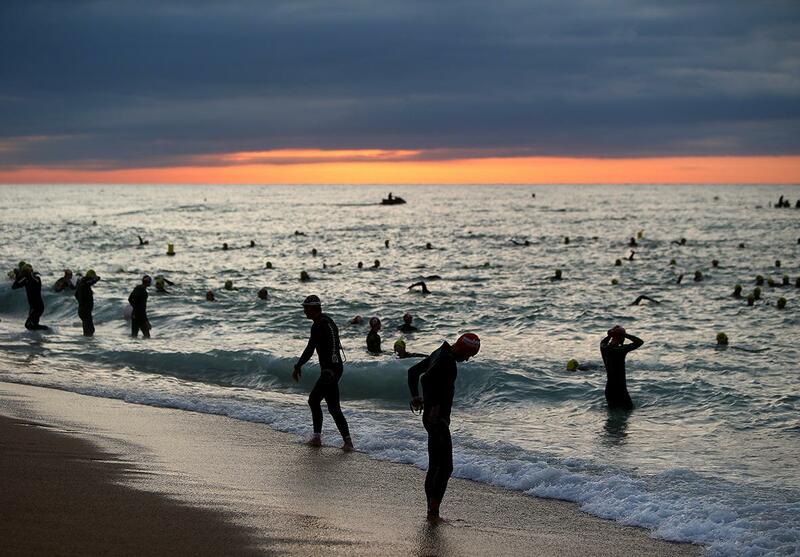 Participants compete in the swim leg of the Ironman Barcelona race on Oct. 4, 2015, in Barcelona, Spain. 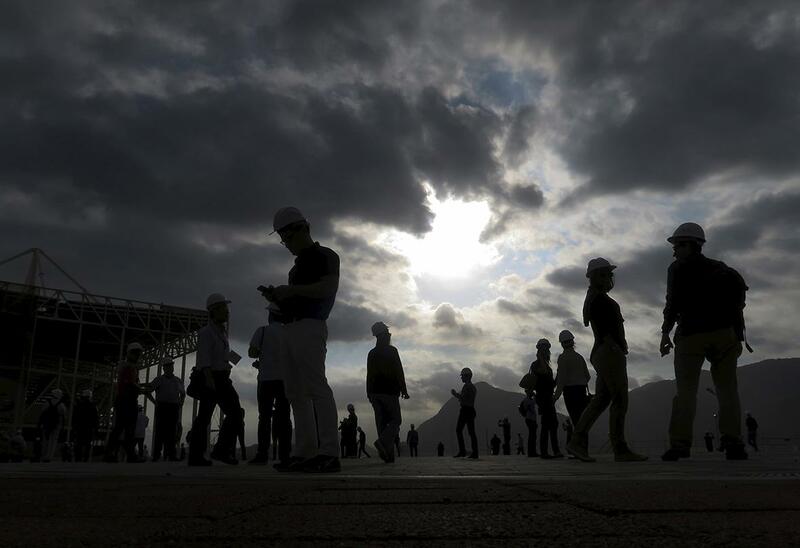 Journalists are pictured in the construction site of the Olympic Park for the Rio 2016 Olympic Games during the third media briefing for the games in Rio de Janeiro on Oct. 6, 2015. 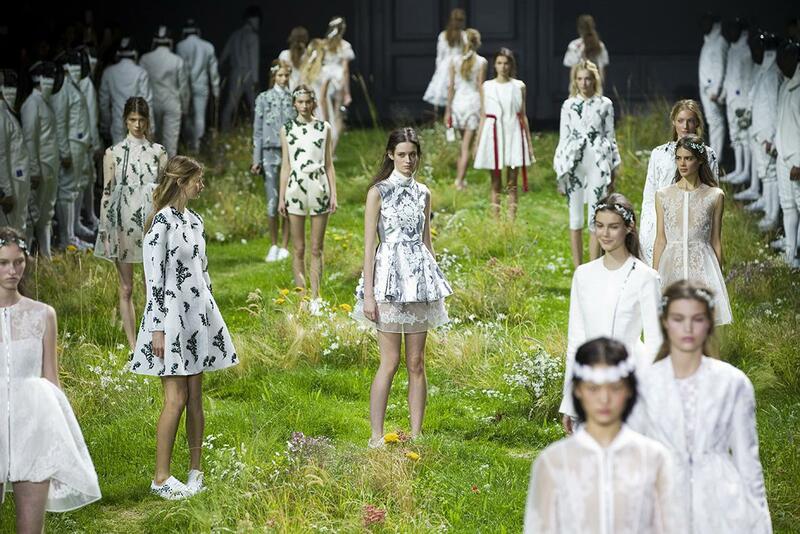 Models present creations by Italian designer Giambattista Valli as part of his Spring/Summer 2016 women’s ready-to-wear collection for Moncler Gamme Rouge during Paris Fashion Week on Oct. 7, 2015. 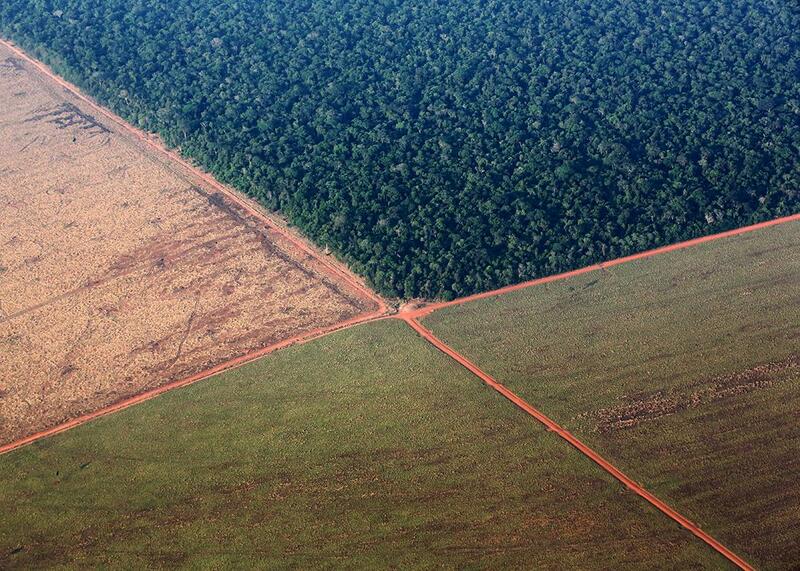 The Amazon rain forest (top), bordered by deforested land prepared for the planting of soybeans, is pictured in this aerial photo taken over Mato Grosso state in western Brazil on Oct. 4, 2015. Brazil will produce a record 97.8 million metric tons of soybeans in 2015–16, a 3.2 percent rise compared with 2014–15, but much of this additional volume will be stored in the country, with little impact on export volumes, the Brazilian Association of Vegetable Oil Industries estimated on Monday. 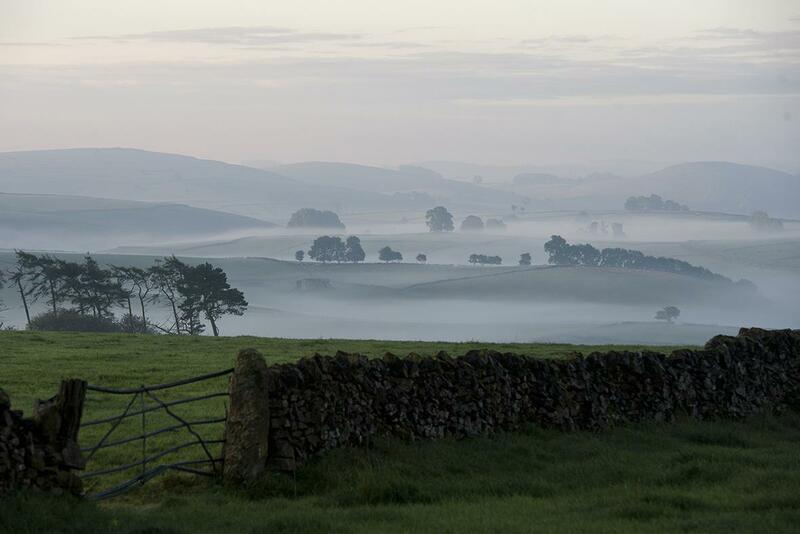 Early morning mist covers the fields near Ashbourne, Derbyshire, in northern England on Oct. 8, 2015. 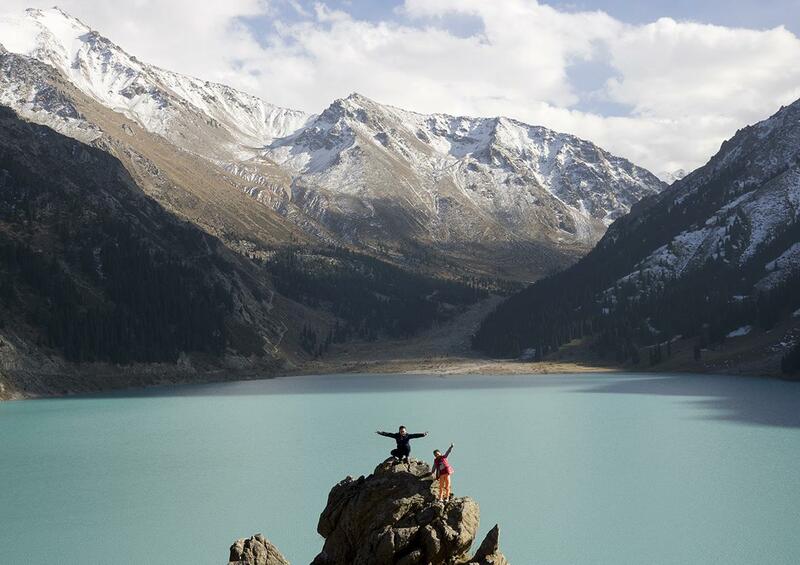 Children pose for their parents on a rock in front of the Bolshoy (Big) Almaty lake at 2,600 meters (8,530 feet) above sea level at a sunny autumn day in a mountains outside Almaty, Kazakhstan, on Oct. 4, 2015. 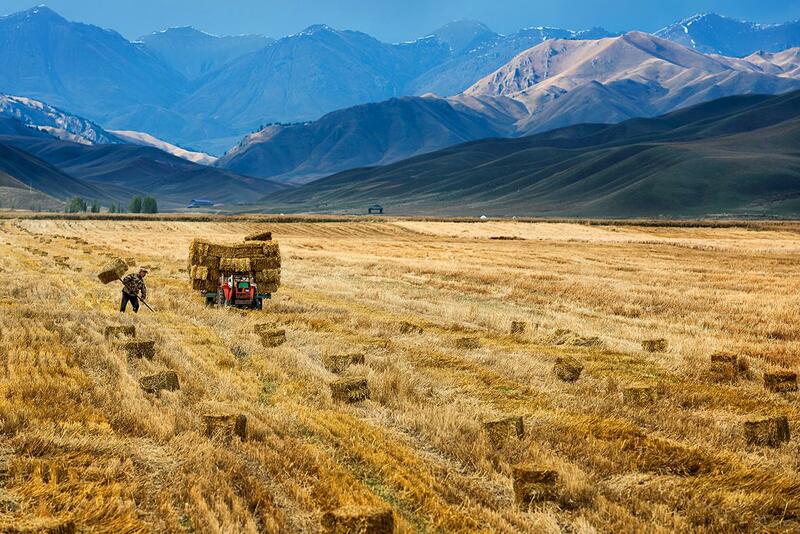 A farmer harvests in a crop field in Yili in the Xinjiang autonomous region of China on Oct. 3, 2015. The world’s largest makers of tractors and combines are finding a rare opportunity for growth in China despite a sharp slowdown in the world’s No. 2 economy, with big farm machines in demand as the rural labor force shrinks and plot sizes grow. A woman carries a sled used on the white sand dunes of White Sands National Monument park area near Alamogordo, New Mexico, on Oct. 6, 2015. 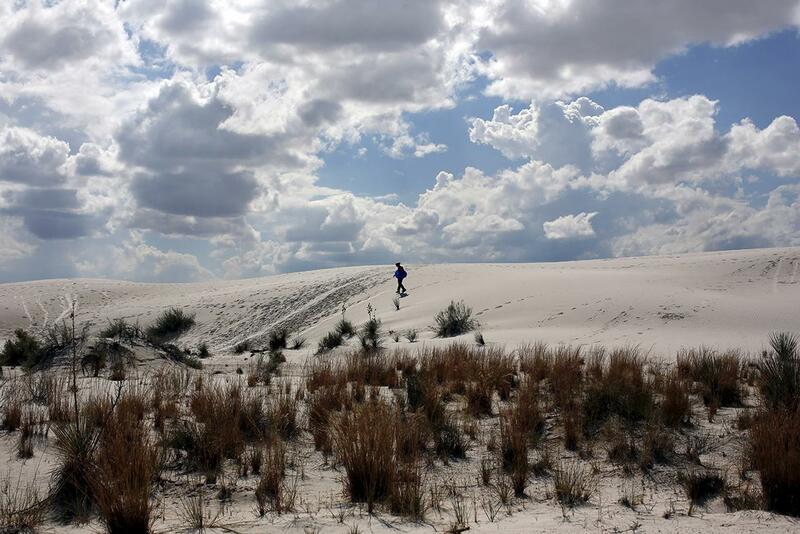 The park contains white sand dunes composed of gypsum crystals. It is the largest gypsum dune field in the world. 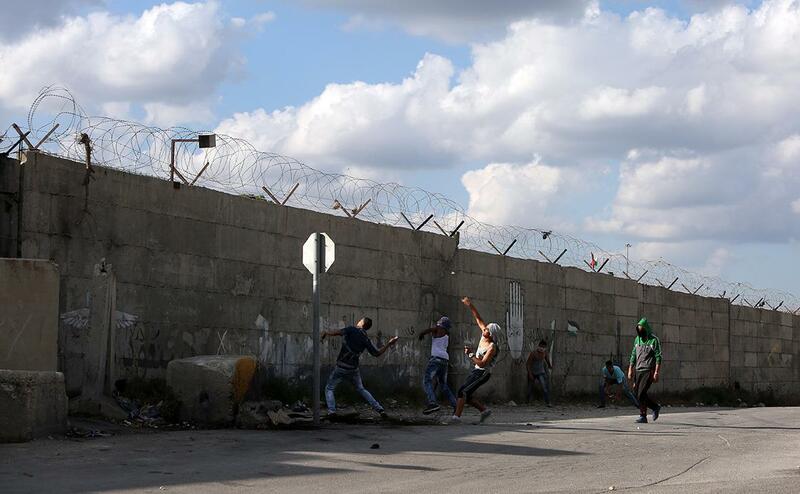 Palestinians hurl rocks above a wall during clashes with Israeli soldiers in the West Bank Palestinian town of Tulkarem on Oct. 8, 2015, following days of unrest, including rioting in East Jerusalem and the West Bank as well as a spate of stabbing attacks targeting Israelis. There have been at least eight stabbing attacks since the beginning of the month, when a Palestinian killed two Israelis in Jerusalem’s Old City, helping to prompt a security crackdown and spread riots. 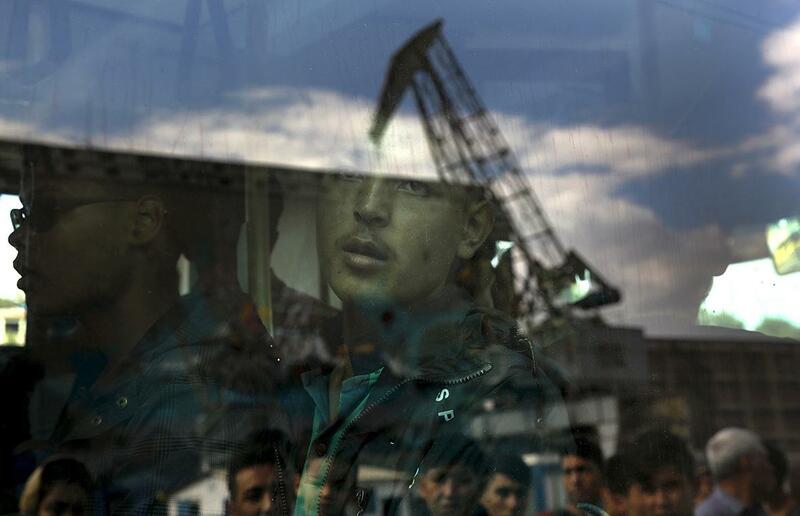 An Afghan migrant is seen inside a bus following his arrival by the Eleftherios Venizelos passenger ferry with more than 2,500 migrants and refugees from the island of Lesbos at the port of Piraeus, near Athens, Greece, on Oct. 8, 2015. Refugee and migrant arrivals to Greece this year will soon reach 400,000, according to the U.N. Refugee Agency. 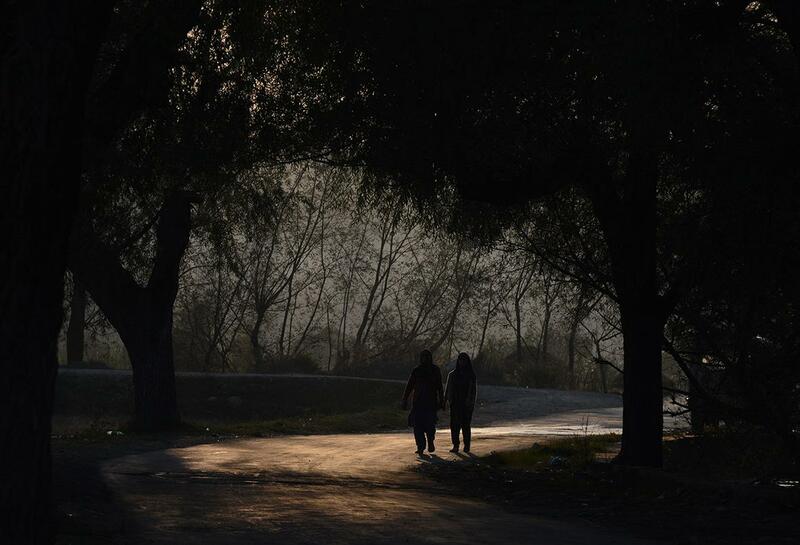 Kashmiri village women walk after working in a rice field on the outskirts of Srinagar, India, on Oct. 6, 2015. Agriculture and horticulture are the main sources of income for Kashmiris since tourism, once the second major source of income, declined following the Kashmiri separatist movement’s uprising in 1989.